All parents want to insure the health of the child. We will now discuss about how you can get a good and complete child health insurance. This article will help you to understand all the points that you may need to consider before you take childrens health insurance. Let us understand the basics of the child health insurance before we move into the more intricate details. Insurance is basically pooling of risk. Some parents argue that what if my child never falls sick then why should I take the child health insurance will it not be a waste of money. Well no one can say for sure that if their child will ever fall sick or not. In today’s world there are lots of diseases that the child can get infected with. Let’s not forget the risk of accidents and fractures. The best part is that the benefit you will get will perhaps be much greater than the premium that you are paying. In a year you may need to pay a premium of ten to twelve thousand INR and the coverage you can get can be up to a million INR which is definitely much higher than the cost that you are paying. We recommend the child health insurance to all the parents. It helps you to secure your child from any unforeseen medical expenses. It makes life much less risk free for you as your child’s health is insured. The medical expenses are too high if your child is hospitalized then you will not even know how money went off. It can be a big blow. Having a child health insurance can help you to keep more funds for the education and other needs of the child. If your child falls sick you do not have to run around for help the insurance company will come to your help at one notification. Most of the child health insurance is cashless so you do not have to provide liquid cash at the counter of the hospital. The insurance company and the hospital will make the adjustments in their books. Your child is dependent on you and is your responsibility. This is exactly why it is your responsibility to secure his health and ensure that he or she gets immediate medical attention that they need. Just imagine how your state will be if you cannot save your child due to financial crisis. If you pay the premium on time then the child health insurance company will ensure that your child gets treatment at any time. The child health insurance policy will give you the list of the hospitals they have a tie up with where you can take your child for treatment. 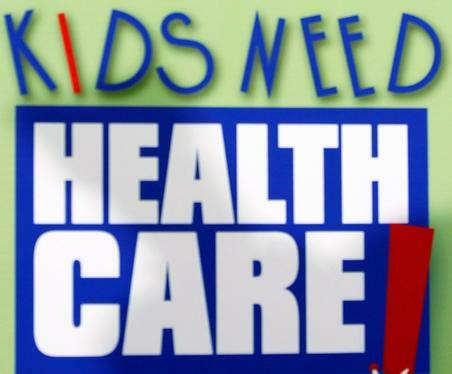 The child health insurance can be a great help especially if your child is not healthy and need more medical attention. If you have more than one child then the child health insurance becomes all the more important to have. Many parents wonder how much child health insurance cover they should take. The premium that you will need to pay will absolutely depend on the child health insurance cover. If you have a twenty lakh (two million INR) cover your premium will be much less compared to fifty lakh (5 million INR) cover. We recommend that the child health insurance advisor will be the best to suggest the cover. However, as a tip try to cover as per the risk if the child has some critical medical conditions keep the cover higher than usual. Similarly if your child is healthy try to keep the cover to the minimum. You can also opt for a family cover and add the child to the cover as soon as he or she is born. Some babies need immediate medical attention after birth in that case adding them to the family cover may seem to be the best thing to do. Many parents ask when exactly they should make the child health insurance policy well the answer is immediately after birth. The earlier you start the better it will be for you and for your child’s future. Some parents also ask if they can go in for multiple child health insurance policies. Well the answer is simple again. You can go in for two to three child health insurance covers with different insurance companies. They all will pull in if the expenses go beyond the cover of one insurance company. 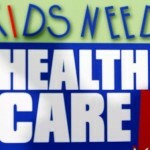 In many countries like the United States child health insurance is a must. In most of the developing world countries like India it is not a must yet still it is recommended to all the parents that they get a child health insurance. Another mistake parents often do is that as their employer is giving them a family cover they do not care about making a child health insurance. What if you change your job tomorrow and the new company do not have this facility. You should always make the child health insurance independent of your employment. It’s good that you have one policy with your company but you must still make an independent and well thought child health insurance policy for your child so that they have a more secured future. These are to name few the list is a long one. You can either go for a specialized child health insurance cover or you can opt for an all inclusive health cover. The choice is yours. The premium that the child health insurance company is charging you. It should be reasonable and you should be able to afford it comfortably. The cover that you are getting for the premium that you are paying. Go for the insurance company that is giving you a better cover for a lower premium. Do a little research about the background of the insurance company and the quality of the service that they are providing. This can be very critical in making the decision you are about to take. See to the additional services that the health insurance company is providing you. Some of them have services like yearly free medical checkups and other such additional services. It is important that you check the hospitals that are covered by the health insurance company. The hospitals should be reputed and they must have all the facilities that are required. Read the terms and conditions of the child health insurance policy well before you take it up. Discuss each one of them with the insurance agent. If there is any facts about your child’s medical history that you know you must tell about it to the insurance company honestly. Do not hide any information as this will be breach of contract later. Fill the child health insurance policy document well and correctly. Compare the above points between at least three to four top child health insurance companies before you chose one. Some people do the mistake of going for a cheap child health insurance policy with insurance companies that are new in the market and may not exists tomorrow. This is something you must never do. The price of the policy does not matter it is the quality of service that you will get which is more critical in child health insurance. The insurance company will give a health card to you that you can use in the hospitals that are covered by the insurance policy. Always keep this card with you. Keep a track of when exactly the next premium is due and ensure that you pay the premium on time else your policy will lapse. Every year you should get a new card that will have a year’s validity only. If this card does not reach you contact the insurance provider immediately. In case you have lost you health card please ask the insurance company to issue you a new one at the earliest. We have tried to cover most of the points in the child health insurance. We hope that you liked this article and found it interesting and informative. Do follow the tips that we have mentioned and you will land up selecting the best child health insurance policy for your child. Just that you have to be a little careful and look at all the options. There are a lot of insurance companies and advisers out there that making the correct decision maybe a little difficult, yet a little discretion and common sense reasoning should be able to help you out with this solution since you are now armed with so much information.